The last two shows of the year for New Japan are all focused on Wrestle Kingdom 11, with all matches for that show now mostly being set, barring an exception or two as you’ll soon see. Okay match. Yoshitatu’s new haircut just looks terrible and actually is kind of off-putting. Nakanishi and Nagata brawled since they have a match coming up tomorrow. Henare had Taguchi in the torture rack, but he escaped and countered with an ankle lock. Henare tried to escape, but Taguchi buckled down and scored the submission. Nakanishi then brawled with Nagata after the match. No idea what this feud is over. This kind of felt out of place at first, but it shaped up to be a pretty good match towards the end. Owens isn’t top tier but has improved a lot over the last year. Ishii threw him around the barricades but Owens countered and brawled into the stands. Owens tried to do a countout win but Ishii made it back in at 19. Owens kicked him in the chest and Ishii responded by starting to no sell all of his offense. Owens came back with an eye rake and a springboard codebreaker and even a lungblower but Ishii kicked out of it all. He went for the package piledriver but Ishii countered and laid him out with a lariat. He followed through with the sliding D then the brainbuster for the win. Good six-man bout. The action was mostly between Tencozy and the rest of the LIJ until Finlay made the tag. He ran wild and looked good for a bit against EVIL, who eventually countered and looked to have the match won when Tencozy ran in. They were thwarted, however, as Finlay was isolated again, leading EVIL to score the win with the STO. Fine match, but the real story was toward the end of the bout. Robinson blocked the gun stun once and did a series of counters with Tama Tonga until he finally laid out Robinson with the move. Roa came in and was about to lay him out with the finish until all of a sudden the bell rang. GoD, confused, looked to see what happened, and in fact it was none other than Toru Yano who rang the bell. Makabe came in during all the confusion and cleaned house. Tonga tried the gun stun on Honma, but he blocked it and walked right into a Robinson unprettier for the win. That's a big win for him, don't remember the last time he scored the winning fall for his team. Yano low blowed the winners after the match, then the losers when they jumped him. He cut a promo saying he wanted to be involved in the tag title bout at Wrestle Kingdom 11, noting he didn’t have a partner yet. This was fine, but nothing special. Jado seems to be back full-time after being head booker of NOAH for the last couple of years. Goto and Shibata, of course, were the story of the match and they interacted a bit. Goto got the win over Liger with the GTR. Shibata was laid out during the pinfall and rolled out of the ring after, looking upset. Solid match. It was mostly a battle between Omega/Okada and Gedo/Yujiro, with Fale occasionally coming in for his big guy spots. Omega and Okada had an exchange leading Omega to lay him out with a knee strike. Yujiro followed suit by laying Gedo out with the pimp juice DDT for the win. Fun main event. Takahashi looked good, and everyone else did as well, with some fun tag team work and quick action. Takahashi's first big move of the match was to go into the crowd, do a running leap over the barricade, and dropkick Tanahashi in the chest. Tanahashi was isolated against Naito and Takahashi and they double teamed him. KUSHIDA made the hot tag and laid both out, but Naito went back on the attack. He went for the Destino but KUSHIDA countered with a near fall. The pace picked up with some good tag team wrestling and counters. KUSHIDA tried to trap Takahashi in the hoverboard lock but it was broken up. KUSHIDA went back to the arm but Takahashi laid him out with a German suplex and also laid out Tanahashi with one as well. He gave KUSHIDA a Death Valley Driver into the turnbuckle then pinned him with a spinning Death Valley Driver for the win. This felt like a really good episode of Raw, highlighting some big matches for the next show while also delivering a surprise or two. While there were a few so-so matches, nothing was bad and everything happened for a reason. 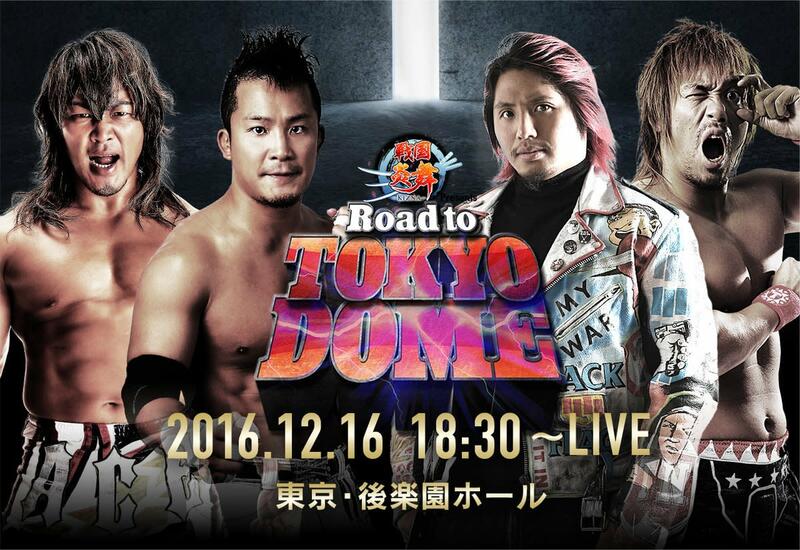 There’s another show happening tomorrow, so we’ll see what big angles they have in store for the final build towards Wrestle Kingdom 11.